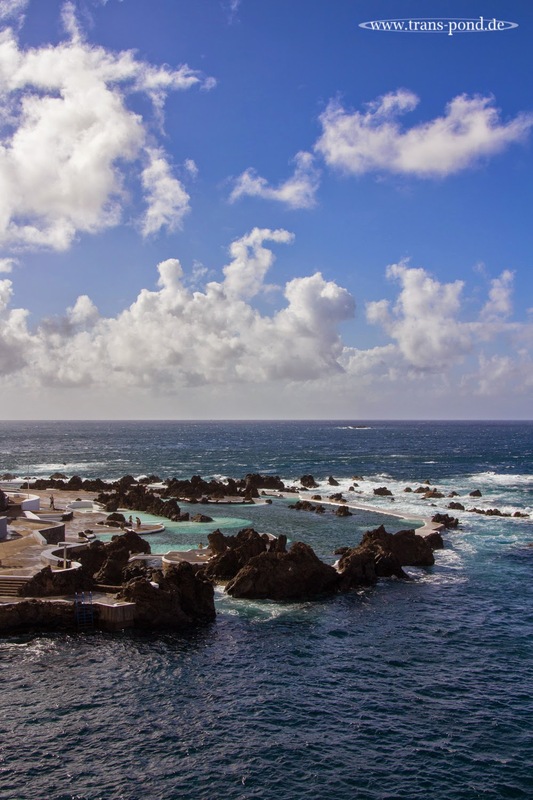 In Porto Moniz on the west edge of the Madeira we visited the ocean bath. The crashing surf between the the rocks and the cliffs looks impressive and a little dangerous. There is a concret barrier set between to form the sea water pool. 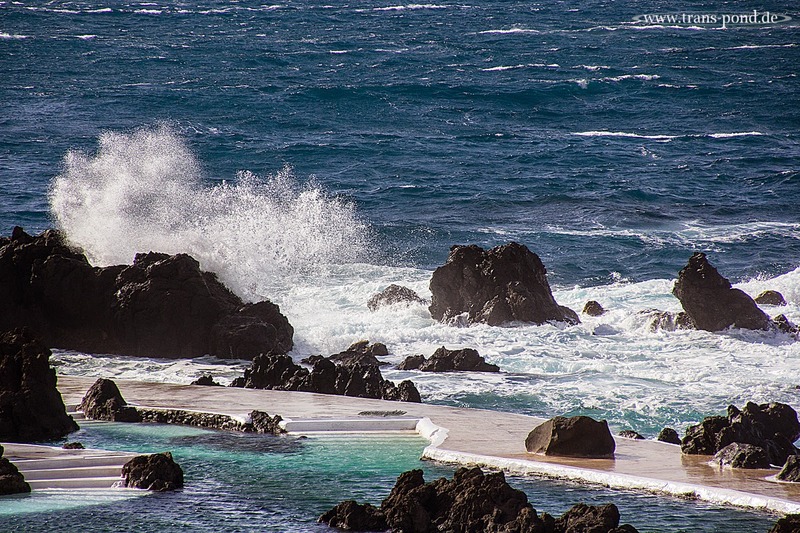 The waves get to crash in at high tide and at stronger waves and the pool is not much warmer than the ocean. 18 degrees that was in April. We had a great time swimming and checking out the crashing water right infront of us. Pretty amazing place.